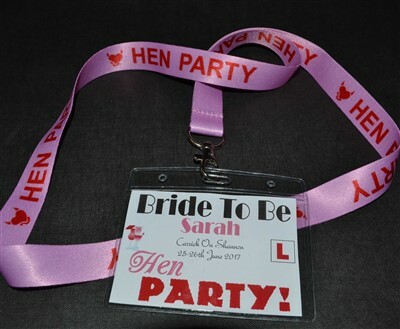 Personalised Hen Party Lanyard with position e.g. Bride To Be, Bridesmaid, Guest etc, name, location and date. Words Hen Party form part of the design and are printed as standard.